Plank grilling is a versatile cooking method where food is placed on top of a fragrant plank or wood to cook over a heat source. The plank or wood has a characteristic flavor and aroma that it infuses into the food as heat is applied. The haida people of the pacific northwest are the earliest known people to have used plank grilling of salmon around bonfires. They are also known for extensive wood art. Now, back to plank grilling. Almost any food type can have flavor enhanced by the use of planks. 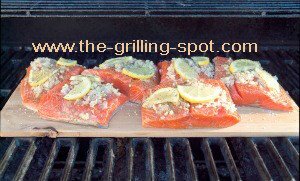 Plank grilling is popular with fish like salmon, sword fish, halibut, tilapia and others, but planks can be used with other meats, pizza, vegetables and cheese too. 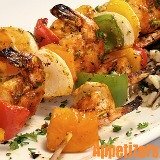 The result is juicy and moist flavor-filled and aroma-rich food. There is a variety aromatic planking wood flavors to experiment with starting with the king, cedar. Other plank wood flavors include alder, hickory, mesquite, apple, oak, cherry and maple, to name a few. Baking planks are available and can be used over and over again in a pre-heated oven for indoor grilling. The planks also come in varying thickness and length. The 12-inch long plank fits most grills. Question - How do I know what size of plank to use for my food? The plank thickness you will need depends on the food item. How large is the food and how long do you need to grill? Measure your grill so that you can get the right plank length. For large meats like pork roasts, prime ribs and whole fish, use the 1-inch plank or thicker for 1-2 hours of cooking time. For medium-sized foods and less time, use the ¾ inch plank. 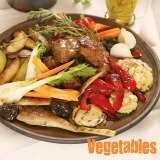 In the medium category you will find the likes of chicken, chops, steaks and tuna, that take 30-60 minutes on the plank. For most side items like desserts and vegetables and quick foods like burgers, cheese and hot dogs, a ¼ to ½ inch thick plank will suffice for 20-30 minutes of plank time. Plank thickness is more important than length. Now, just get a good piece of wood, soak it in water for a little while and put your food on the plank and then stick your food in the grill and you are good to go. Well, not so fast! Need some adventure? Use standing grilling planks around a bonfire on your next picnic or camping trip! Plank grilling is full of adventure. It takes some skill, practice and a little experience to know how to grill well on a plank. If you plank well the first few times, it gets progressively easier to do it the next time. You can experiment too! Grillspot Alert! - Make sure you use only approved wood, natural wood, planking wood that you know or untreated wood. Treated or creosote wood has chemical preservatives that are harmful and alter the wood flavor and aroma. Look for 'blue-ish' wood smoke. Wet woods produce 'gray-ish' smoke. Avoid smoky softwoods like pine. Let's see some good practices to adopt when plank grilling so that you can get juicy and moist food every time you plank. Seasoning planks for grilling is a two-step process. The first step involves soaking. Soak your plank in water for at least an hour to four hours. Some committed cooks soak planks overnight! In order to preserve the distinct plank wood aroma, avoid mixing different flavor planks in the same container. If you are plank grilling for the first time, soak twice as many planks as you will need. Your food items will be placed on the plank, so, quickly determine how many planks you will need and soak double the number. It is possible to mess up the first time. Wrap the moist unused planks in a plastic bag and freeze for the next use. Add either white wine, beer, apple or berry juice; citrus fruits, onion or garlic to your plank soaking water to accent subtle flavors. The idea of soaking is to add moisture to the wood to slow down the burning of the plank on the grill. Soaking also helps to 'smolder-smoke' the plank as it cooks and infuses its wood flavor. Use some weight to keep the planks fully submerged in the water or flavor liquid. Have the planking food ready, marinated, drained, at room temperature; just ready to be planked and fired. Next, your fire has to be ready for planking. Light your grill and maintain the grill planking temperature at medium. The grill at 350-450 °F (175-225 °C) will cook most planking foods. In a minute, we will see grill set-up for indirect grilling. Grillspot Tip! - Drill holes in your plank and intensify wood flavor in the food! Use foil and cover food right around and under the base of the plank. Remove foil halfway through planking. Use a drip pan. The second step in seasoning your plank is toasting. Place or toast your plank lightly in the heated grill, with the smooth side facing down on the grill. Cover the grill to maintain temperature. Once you start seasoning the plank in fire, it is a down hill ride, no stopping now.... Toast for approximately 2-5 minutes. Now, open the grill and turn your plank to toast the rough flip side. Cover the grill again. This time listen intently for a popping, snapping or crackling sound. These seasoning steps bring out the best of the wood aroma and prevent the wood from warping. Crackle, crackle and now you're ready for planking! It may start smoking a little. You are on your own now! I'm gone. Just kidding. The aromatic flavor infused into food is natural wood oils that sip out and smoke as the plank is heated. Avoid oiling your plank. It is more fuel for your plank to catch fire and burn. Place your food directly on the smooth side of the plank after sprinkling a little coarse sea salt. The salt helps to, among other things, bring out the best of the food flavor. Place fish, skin-side-down; ribs, fat-side-up and chicken, skinless. Some like the skin on there. There is no need to turn your food when grilling on planks. Grillspot Tip! - Keep a spray bottle with water nearby just in case you need to douse a small wood plank fire. Keep your vigil by the grill. Planking on a charcoal grill produces more rustic flavor than a gas grill. Light your charcoal using a charcoal chimney. The main challenge in using a charcoal grill is maintaining temperature. Stay by the grill, look out for plank flare-up and douse with water. (175-230 °C). Set the hot coals on either side of the grill. If you have a smaller grill, set the coals on one side of the charcoal grate. You can also create a 'ring of fire' and set your plank in the center of the grill. Season your plank on the stove as mentioned above, smooth side first facing the coals, then the rough side. Gently place your food on the grilling plank. Get some grilling gloves. 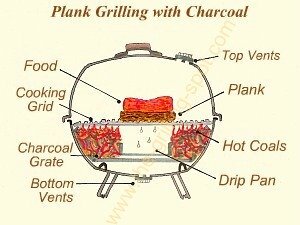 Place the planked food and a grill surface thermometer on the grill. After grilling for half of the planking time on the smaller grill, as just mentioned, rotate the plank so that the food can cook and the plank can burn evenly on the other side. If you set up the 'ring of fire' as pointed out, there is no need to rotate the plank. Do not flip the food or plank. For best plank smoke results, keep the lid closed most of the time. Charcoal grills are notorious for increasing or loosing temperature quickly. Monitor the temperature closely. Here is a quick refresher on temperature control on a charcoal grill. Work with the lower vents or dampers to maintain the temperature. If your grill does not have a thermometer, you can use a meat thermometer in one of the top vents to check the grill temperature. When the food has reached a safe internal temperature, use a set of tongs to hold the plank in place as you remove the food. Use a wide spatula to remove the food from the plank. Put the plank in water to cool as it may still be burning, then wash and store for re-use, or use as firewood. Gas grills are preferred for planking because of the superior heat control and the consistent temperature levels. Planked food flavor is acceptable but more authentic over charcoal. Win some, lose some. Use the indirect grilling set up to plank on a gas grill. Pre-heat your grill accordingly to approximately 400 °F (200 °C). Use a grill surface thermometer if your charcoal grill is not equipped with one. If you have three burners, turn the middle one to low or off and place your plank in the middle of the grid. If your grill has two burners, keep one burner on and turn the other one on low or off. Set the planked food on the cool side to cook with reflected or indirect heat. Grillspot Tip! - Need an 'instant spray bottle'? Poke a tiny hole in a fresh bottled water cap and shoot! Be sure to rotate the plank on the two burner grill in order to cook both sides evenly. If you have lava rocks or ceramic briquettes, set them on the lit burner(s) or the outer edges of the grill to maintain the indirect heat for planking. Place a drip pan below the plank, over the rocks to deflect direct heat and collect any juices. Ensure that the safe food temperature is reached before harvesting your planked food from the grill. Use a meat or a food probe thermometer to check. Do not leave the side of the grill when planking. After removing the food from the plank, first soak your plank in water to cool. This also helps to loosen any food that may stick. Clean the used plank in soap with water. Rinse and store in a dry place. Question - Can I use a grilling plank more than once? Depending on how you did the last time, planks are re-useable. If there is still unburned wood and the plank is not too charred, make a judgment call and re-use it. When ready to re-use the plank, clean in soapy water, rinse well, then soak it for planking. Remember, too, that the aromatic wood flavor and smoke from the plank will not be as intense as the previous time. Planks are used several times when flavoring to roast in an indoor oven. Planks designed for indoor use do not 'smolder-smoke'. To stay green, save used up planks, label the wood flavor and use it as flavor wood chips for your next grilling session or as firewood. 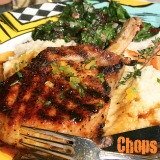 Spread 'the chips' over a charcoal grill or in an aluminum or tin foil pouch on one burner in a gas grill. You can get planks from a specialty food or grilling and barbecue store, hardware store, in a lumber or wood yard. Check for available deals online as well. Small-size food serving plank platters are available for your culinary pleasure! Happy planking!